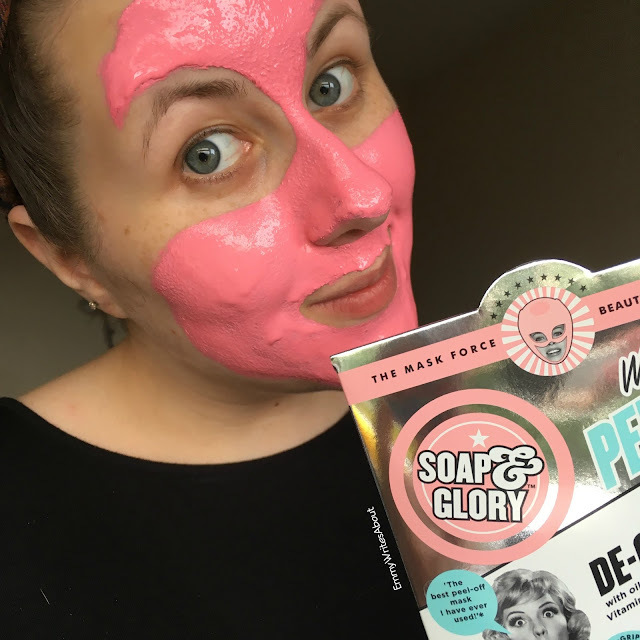 Recently Soap and Glory have released five face masks! As soon as I found out I rushed to find some and picked up two from the range. Who doesn't love a good pamper session with a face mask? 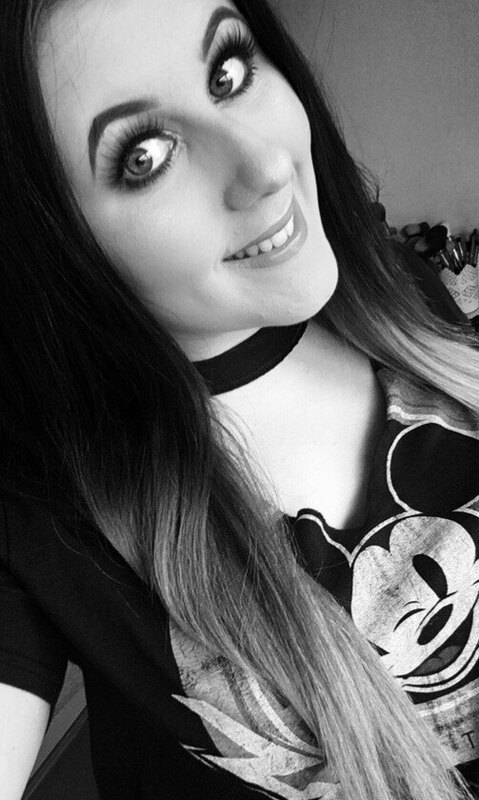 Every Sunday evening I will put a face mask on and get my skin ready for the week ahead. It is amazing to see Soap and Glory branching out and releasing more products. Now this is definitely my favourite of the two I have tried. This mask actually contains two masks instead of one which I think is really good for the price. It is a bright bubblegum pink mask as you can see below. It comes with a small spatula and I apply it all over my face. You leave it on around 25 minutes until it sets. Even on the very first use I noticed how it really got into my pores. As it is drying you can see where it goes into your pores to deep cleanse them. I find alot of masks like this don't get into my pores so I am happy to finally see an affordable mask that does what it says. Once set you just peel it off. Why does peeling a face mask off feel so satisfying?! Once removed my skin feels incredible and I instantly notice a difference in my pores. I have used up both of these now and have ordered more! Im not the biggest fan of sheet masks so I didn't have high hopes for this one but I was wrong and pleasantly surprised! When you open the packet it is jam packed with moisture, an almost gel like formula. The mask was a little fiddly to unfold due to the amount of moisture in it. I liked how it had more of a gel consistency on it rather than a runny watery liquid. I applied it to my face and was shocked that no liquid ran down my neck it all stayed on the mask. Most sheet masks I've tried all run down your neck which is what puts me off them. This has a minty fresh scent like their No Clogs Allowed Deep Pore Detox then this smells exactly like that. The minty scent does go more subtle after a few minutes. It has a cooling effect which lasted the whole time the mask was on. You leave the mask on 15-20 minutes. When I took the mask off I still had quite a bit of the gel on my face so I rub it in a little then leave it for 10 minutes then rinse it off. 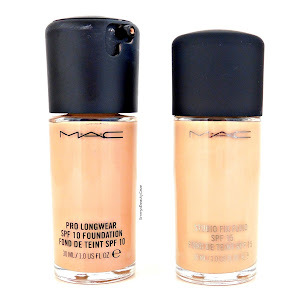 I find this way it lets the product fully soak into your skin. Overall I am pleasantly surprised by this mask and will definitely try their other sheet masks now. I adore both of these masks. As I said I have already got a second pack of the peeling mask and will now pick up more of the sheet masks too. 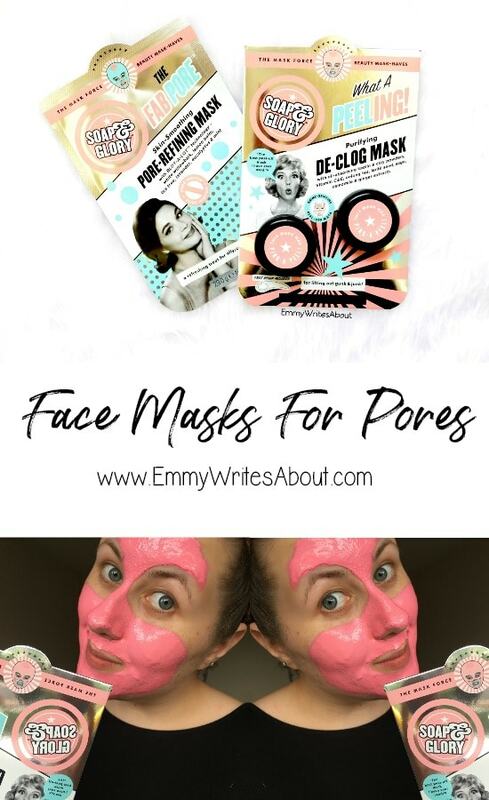 If you don't like sheet masks due to the liquid running everywhere and not being able to move when you have them on then you need to try these as they have completely changed my look on sheet masks. Boots usually have them on offer too!